The NFC playoffs are in the divisional round. Only four teams remain in their quest for Super Bowl LII. Who are the four teams left? When are they playing? And then there were eight. Yes, only eight teams remain for the quest of hoisting the Lombardi Trophy at the end of Super Bowl LII in Minneapolis. The four teams alive in the AFC are the No. 1 New England Patriots, the No. 2 Pittsburgh Steelers, the No. 3 Jacksonville Jaguars and the No. 5 Tennessee Titans. But what about the NFC playoffs? Who is still alive in that NFL conference? The NFC may have the most up in the air playoff scenarios of the two. 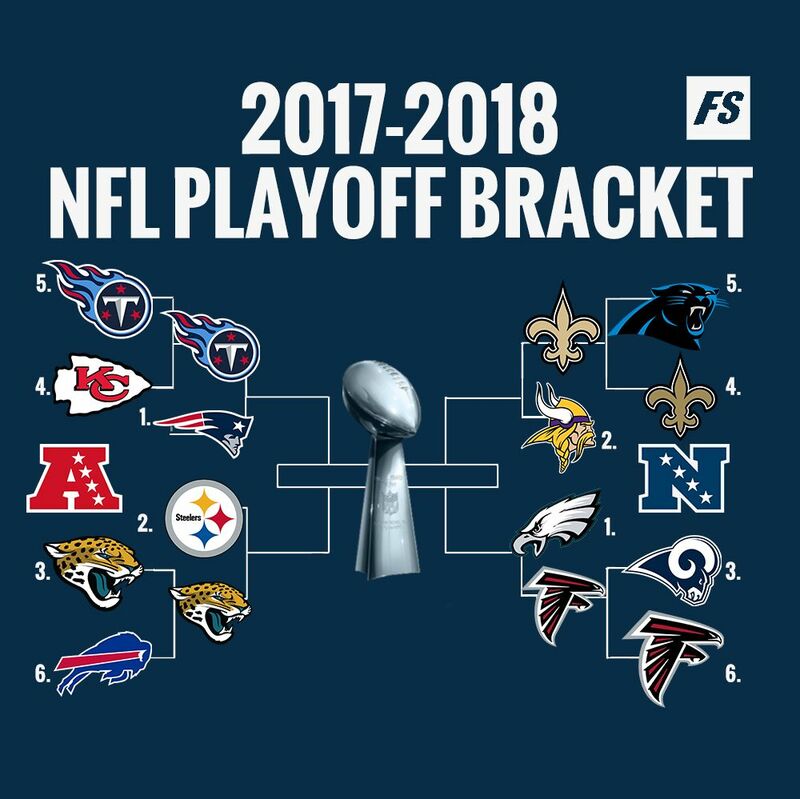 Frankly, all six teams that made the NFC playoffs had a realistic shot of making it to Super Bowl LII, the No. 3 Los Angeles Rams and the No. 5 Carolina Panthers were eliminated on Wild Card weekend. So who is playing in the divisional round in the NFC? The first game of the weekend will be on late Saturday afternoon between the No. 6 Atlanta Falcons and the No. 1 Philadelphia Eagles. Kickoff from Lincoln Financial Field in Philadelphia will be at 4:35 p.m. ET on Jan. 13. NBC will have the national telecast. Philadelphia has home-field advantage in the NFC playoffs as the No. 1 seed. Atlanta advanced on Saturday night by beating the Rams in Los Angeles, 26-13. The NFC will also have the last game of the divisional round slate. That game will be between the No. 4 New Orleans Saints and the No. 2 Minnesota Vikings on Sunday afternoon. Kickoff from U.S. Bank Stadium in Minneapolis will be at 4:40 p.m. ET on Jan. 15. FOX will have the national telecast. Minnesota had a first-round bye entering the NFC playoffs as the No. 2 seed. New Orleans beat division rival Carolina on wild card weekend Sunday evening, 31-26.